Tarangire National Park is in northern Tanzania, 115 km from Arusha. As it lies among the Arusha Dodoma Road, it is quite accessible by car. It is a large park, spanning 2,600 square km. The Park is named after the shallow but vital river which crosses it lengthwise, which gives support to a large wildlife population during the dry season. During this season, between June and October, thousands of animals including wildebeests, zebras, elands, elephants, buffaloes, hartebeests, and more migrate from the dry Maasai steppe to the Tarangire River. 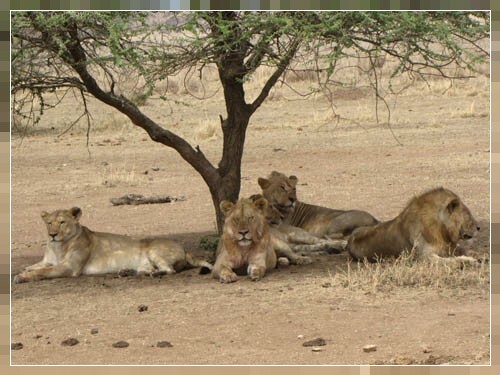 Lions and other predators can also be found in abundance during the dry season. Facilities: A lodge, a safari camp, and airstrip, and several camping sites.